The National Hurricane Center is issuing advisories on Hurricane Jimena, located about 1100 miles southwest of the southern tip of the Baja California peninsula. 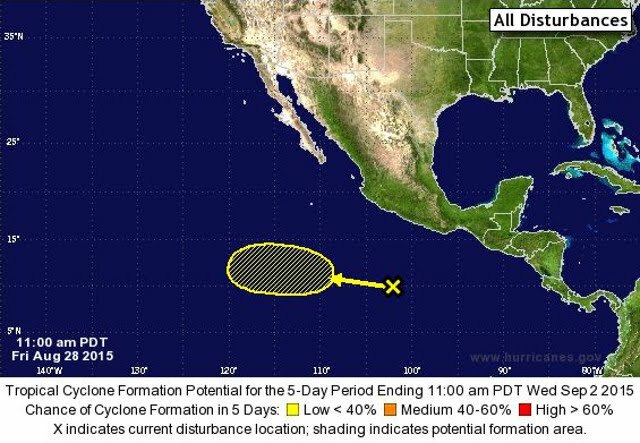 A broad area of low pressure is forming several hundred miles southwest of the coast of Mexico. Environmental conditions could be conducive for some development next week while the system moves toward the west at about 10 mph.